Wize Monkey has provided me with Ginger Lemon for the purposes of providing an honest review. I generally think of ginger and lemon going together when I’m sick because that’s what my mom used to put together for me (along with some honey – I can’t forget the honey!) so when I opened up the packaging on the sachets of Ginger Lemon, it brings me right back to being little & feeling poorly (sorry, Wize Monkey, it’s not your fault!). That said, this tisane has an amazing flavour – it smells exactly like you’d expect it to, very strongly of ginger and lemon. Ginger Lemon consists of premium arabica leaves, ginger root, lemon peel, lemon myrtle, and natural lemon flavour. 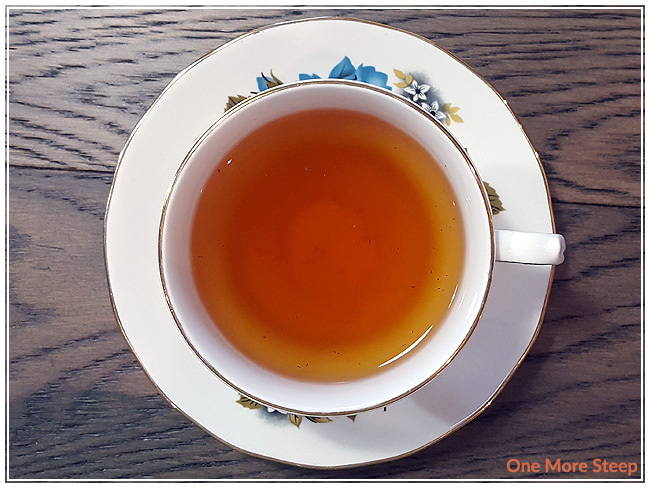 Unlike my earlier review this month of the Original coffee leaf tea from Wize Monkey, I can only smell the lemon and ginger and none of the tisane base. 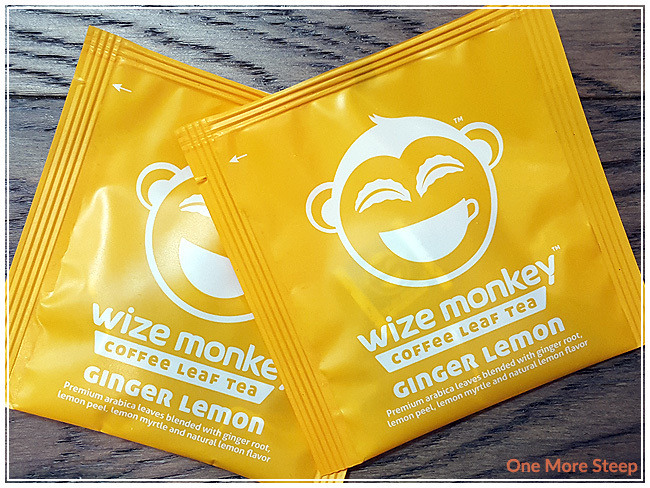 Wize Monkey recommends steeping Ginger Lemon in 95°C (203°F) water with no set time limit. If you recall my review of their Original, I steeped it for 8 minutes with no ill effects on the flavour. I opted to steep Ginger Lemon in 93°C (200°F) water for 5 minutes. Ginger Lemon steeps to a lovely golden red and has a great aroma to it. 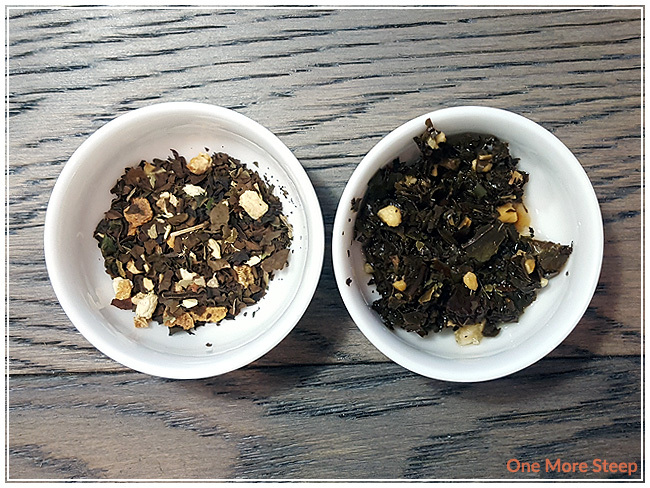 The ginger and lemon are very much in the forefront and it’s the only thing I can smell from this coffee leaf tisane. The aroma still makes me feel like I should be drinking this when I’m sick, but what’s a girl to do? The flavour has some of the warming properties from the ginger, and I can definitely taste the lemon. I don’t really get a lot of the tea base, which isn’t that surprising considering how strong of an ingredient ginger can be. I get a little bit of the grassy notes, but it is mostly overwhelmed by the lemon and ginger. The flavour of Ginger Lemon honestly reminds me so much of what my mom used to make for me when I was ill, it just needs a spoonful of honey to make it match up perfectly. I resteeped Ginger Lemon twice. 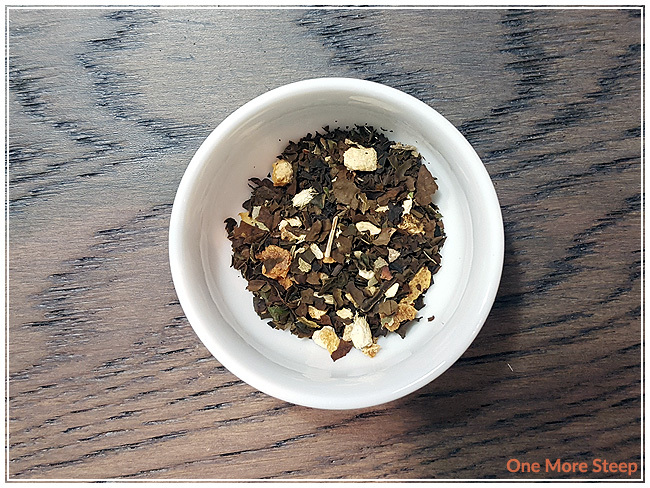 I found for the first resteep that it was more ginger than lemon, and the grassy notes were a bit stronger in the first resteep. For the second resteep, it was lacking the ginger and the lemon and just wasn’t as tasty as the original I would say that Ginger Lemon is good for one more steep. I loved Wize Monkey’s Ginger Lemon. 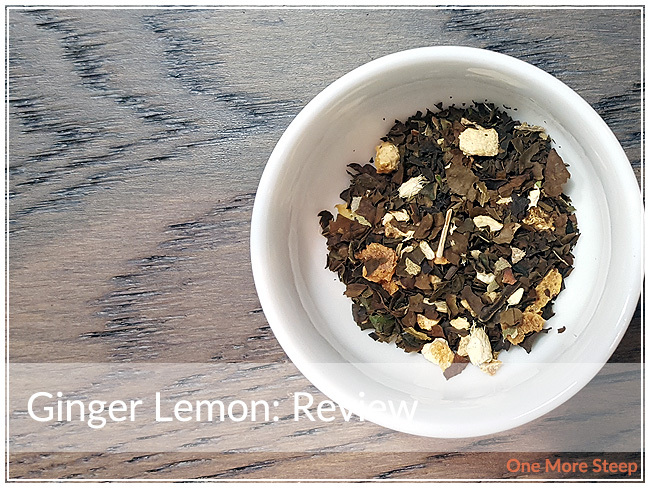 There was just something really thought provoking of the flavours of the ginger and the lemon, and it probably has to do with the fact that I really enjoy the flavour combination. That said, it did make me feel like I should be sick or at least feeling a little bit under the weather while I was having it, so I might not be the best judge of things. However, it tasted good, smelled and tasted like I feel like it should have, so all in all, it made for a good cuppa.